“Hurricane” Hal Needham is a storm surge scientist who specializes in data-driven storm surge analysis. 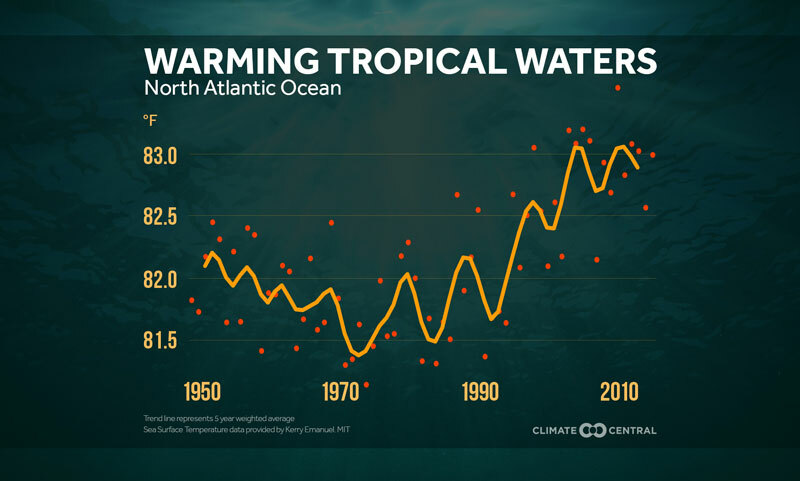 He is the founder and president of Marine Weather and Climate. Hermine Produced the 5th-Highest Recorded Water Level at Cedar Key, Fla.
Hurricane Hermine generated a widespread storm surge along Florida's West Coast, north of the Tampa-St. Petersburg area. Water levels were particularly high to the east and south of Apalachee Bay, in areas like Cedar Key. 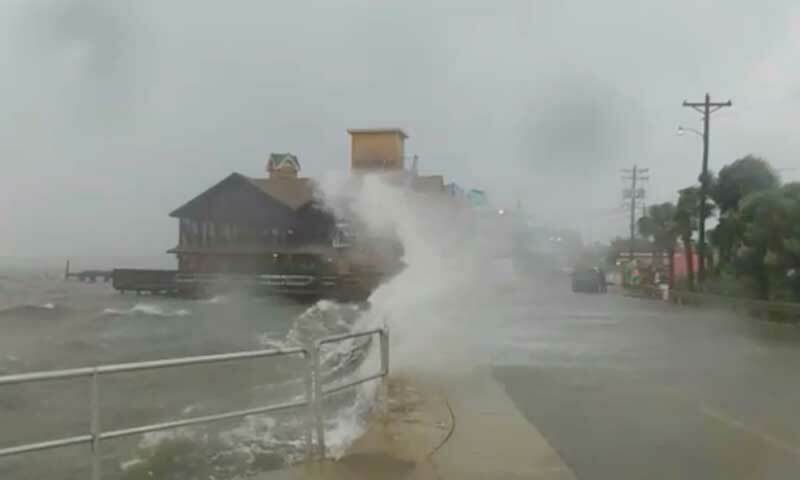 The Weather Channel broadcast Hermine's storm surge inundation live on Facebook on Thursday afternoon. 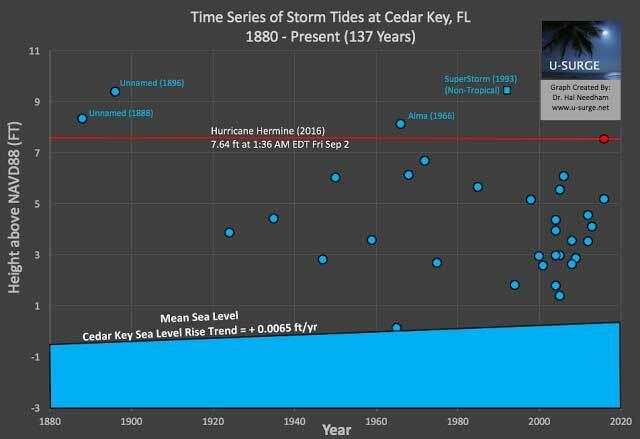 The graph below plots Hermine's water level within a broader context of storm surge events at Cedar Key. Hermine produced the fifth highest recorded water level in Cedar Key, Florida. The water level at Cedar Key reached 7.64 feet above the NAVD88 datum early on Friday morning. That makes this the fifth highest storm tide level out of 34 surges on record at the location. 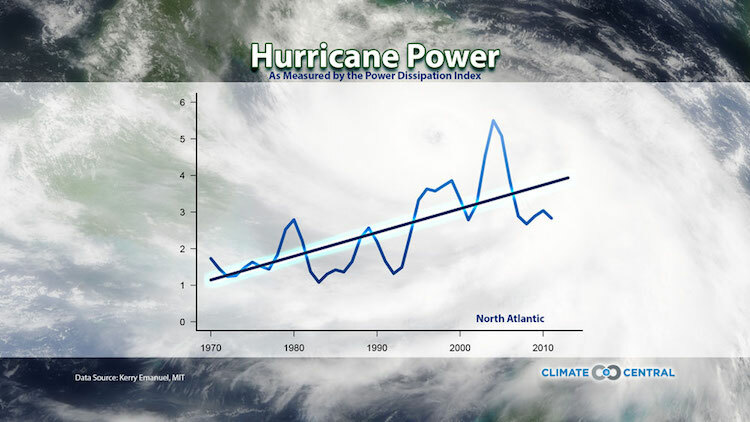 It was also the fourth highest surge from a tropical system and the highest surge recorded in 23 years. The surge was slightly higher than the 7.5-foot surge forecast ahead of landfall. 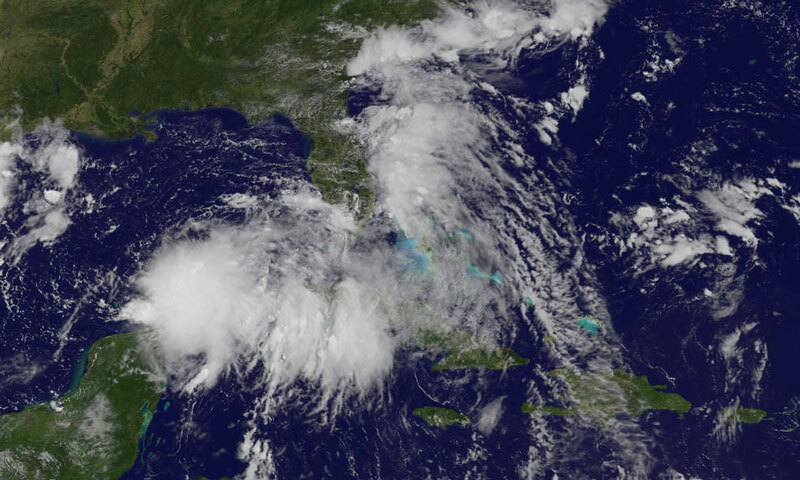 Hermine has since been downgraded to a tropical storm and is cutting across Georgia toward the Atlantic. All eyes now turn to the Mid-Atlantic Coast, where both the European and GFS models predict that Hermine, or more likely an extra-tropical system, will park near the coast and possibly turn towards land over Labor Day weekend. 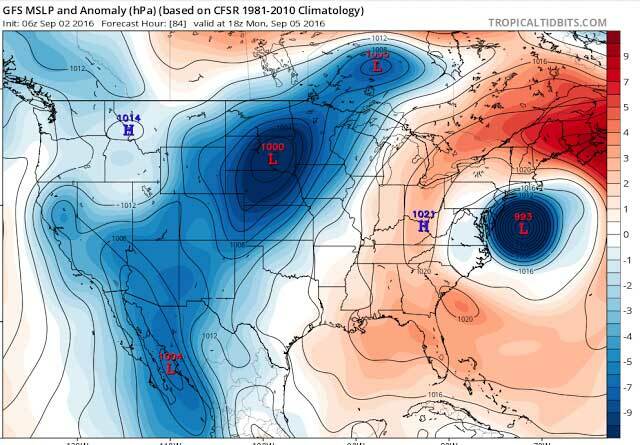 The GFS model run displays a nearly stationary area of low pressure off the Delmarva Peninsula on Labor Day. This forecast is of great concern for coastal areas from Virginia through Massachusetts, as storm surge and waves will have ample time to build if this forecast holds. 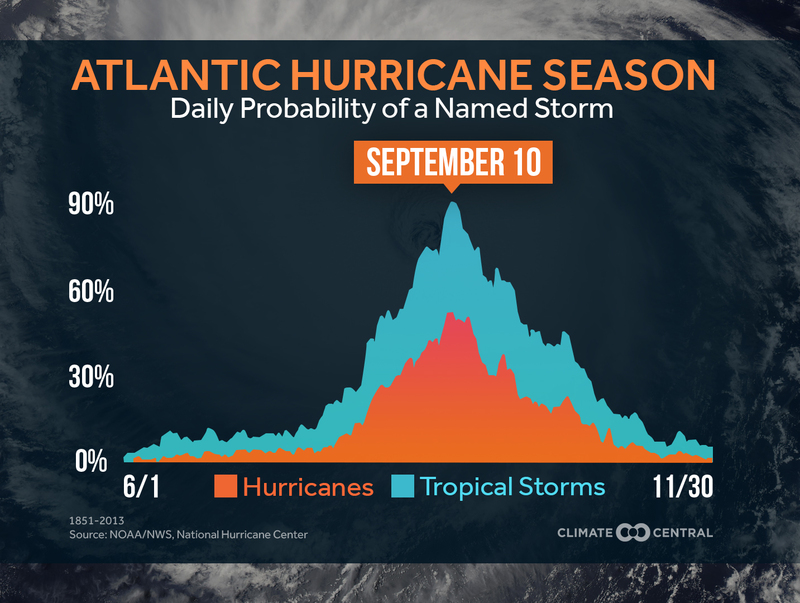 Check back over the weekend, as I hope to provide some storm surge analysis for the Mid-Atlantic region. This originally appeared on Hurricane Hal's Storm Surge blog.